You can change the default category to any alternate name you choose. If you find that WordPress' default category name is pointless, don't ignore it or hide it -- rename it! 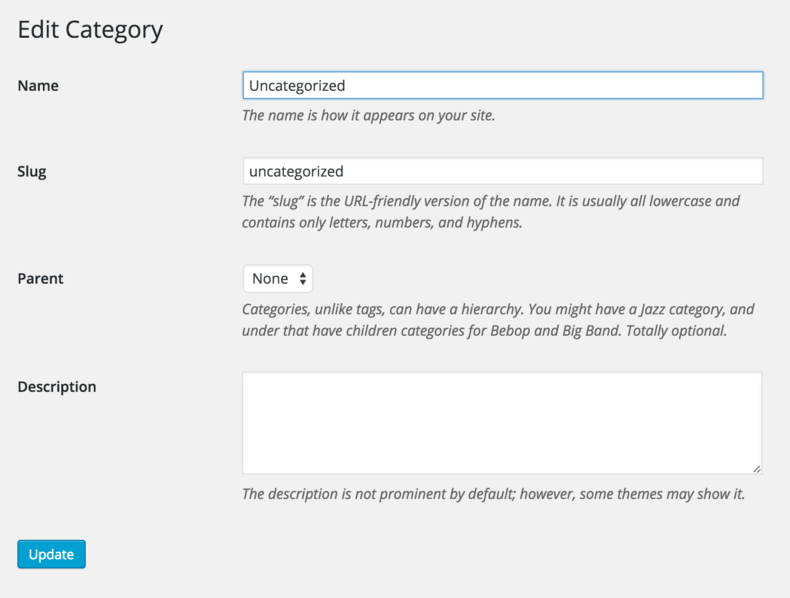 WordPress' structure requires that at least one category must exist. You can rename the default category's name and slug but you can't delete it altogether. A good practice is to rename your main category as the topic area you expect to cover most or the type of content post you expect to produce the most. This way, even if you or your co-authors forget to assign a category to a new post, the post will default to the main one that you've renamed and your content stays organized till you give it specificity.